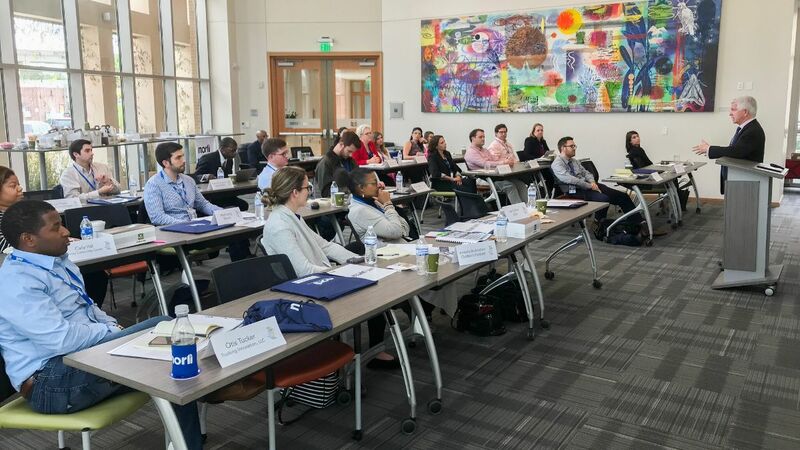 New Orleans, LA (April 12, 2019) – On March 28th-29th, the New Orleans Regional Leadership Institute (NORLI) launched the newest addition to its growing portfolio of leadership development programs. 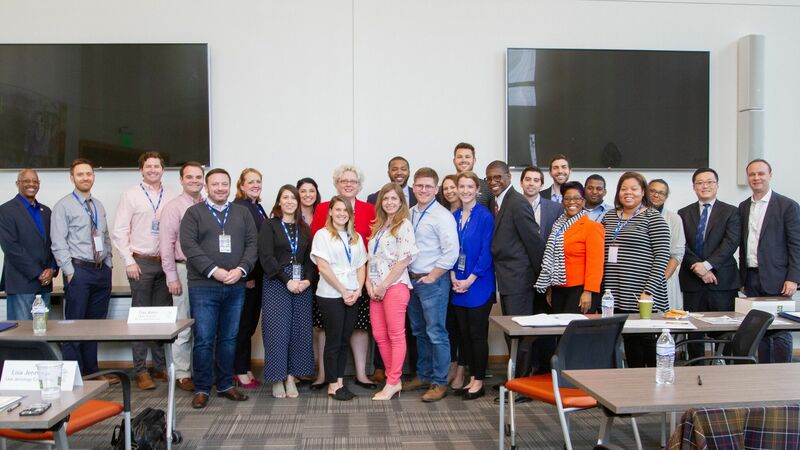 FOCUS, a two-day program designed to help professionals navigate and understand the dynamics and attributes of the Greater New Orleans Region, attracted 27 participants from around the Greater New Orleans Region. The program was held at The Greater New Orleans Foundation’s Center for Philanthropy, and participants represented a variety of leading organizations in the nonprofit and private sectors including Baptist Community Ministries, Entergy, The Saints and Pelicans organization, Jones Walker, GNOF, LCMC Health, GE Digital, Postlethwaite and Netterville, Eskew Dumez Ripple Architects, Palmisano Construction, PBF Energy, Fishman Haygood, Atmos Energy, IBERIABANK, Trinity Community Center, plus many others. FOCUS was professionally facilitated by Ronnie Slone of The Slone Group. Topics discussed included a brief history of the region, perceptions and misconceptions of the Greater New Orleans area, demographics and statistics, drivers of the regional economy, policies and issues that define our region, understanding education in Louisiana, an overview of our culture, recreation, and tourism, and opportunities to get involved in civic and social activities. Presenters included Richard Campanella of Tulane University, John White of the Louisiana Department of Education, Michael Hecht and Evie Sanders of GNO Inc., Lamar Gardere of The Data Center, Mark Romig of the New Orleans Marketing Tourism Corp., Stephanie Powell of YLC, Michelle Payne of the United Way of Southeast Louisiana, Liana Elliot with Mayor Cantrell’s Office, and Andy Kopplin with the Greater New Orleans Foundation. 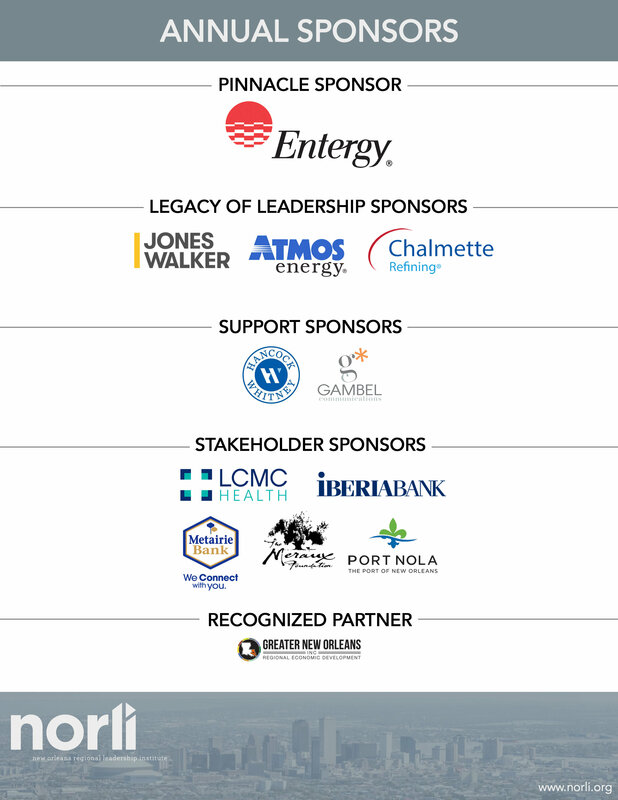 FOCUS was produced through the generous support of NORLI’s Annual Sponsors, Baptist Community Ministries, and the Greater New Orleans Foundation. To stay updated on future events, please visit NORLI’s website at www.norli.org.